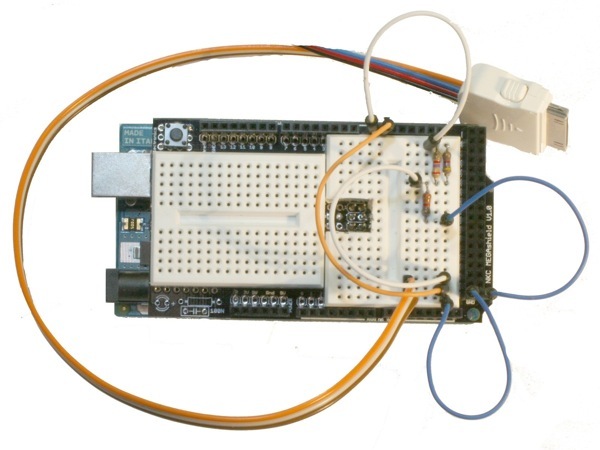 The iPod dock connector uses 3.3V TTL logic, but the Arduino delivers 5V. I assume that the 3.3V emitted by the TX pin of the iPod is enough for receiving data from it. 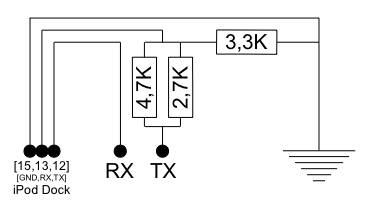 The TX of the Arduino altough has to be reduced, so this is why I added the voltage devider.